Around the wider world of golf: Hyo Joo Kim won the JTBC Founders Cup on the LPGA; Marco Dawson won the Tucson Conquistadores Classic on the Champions Tour; Dawie van der Walt won the Chile Classic on the Web.com Tour; Diego Velasquez won the 68 Avianca Colombia Open on the PGA TOUR Latinoamérica; and Akane Iijima won the T-Point Ladies on the JLPGA (bangkokbobby has details). The Madeira Islands Open had to be cancelled due to horrible weather, so the ET is working to find a reschedule date. The 54-hole leader curse is still alive after 9 weeks. It's good to be the chaser on Sunday! Henrik Stenson looked to be the prohibitive favorite going into the final round, and yet-to-win Morgan Hoffmann appeared poised for his first win after a strong finish Saturday. But it was defending champ Matt Every who found the way to get it done, shooting 66 versus Stenson's 70 and Hoffmann's 71. In doing so, Every becomes only the third player to win back-to-back APIs, with Tiger and Loren Roberts being the only other two. He's also the first Big Breaker -- male or female, I believe -- to get multiple wins on a big Tour (PGA, ET, or LPGA). Last fall, Every was worn out and frustrated by a lack of results with his game -- he had six missed cuts and a WD in his final 13 starts of the year. He was ready to change his body and his game. Every began working out on the road with trainer Craig Davies when a spot became available and there was another vacancy when Tiger Woods parted ways with coach Sean Foley last August. Foley could see Every’s talent and sometimes wouldn’t say a word during their range sessions. He also provided clarity -- an understanding of why the ball would do what it did. In layman’s terms, Every was lining his eyes up to hit a draw but everything else was set up for a fade, which is a shot he likes to play. Foley adjusted his eye line over the ball. Every was open to change, though. It certainly seems to be working. And Every said Sunday that his putting practice was based around that "tilted head" problem... and that it was a problem he had been working on for some time. All those changes worked well this week. It will be interesting to see how he performs going forward. Dare I suggest that we have Every indication he'll do well? In the meantime, Matt picks up an invite to the Masters and yet another Limerick Summary. His game strong in Every way. 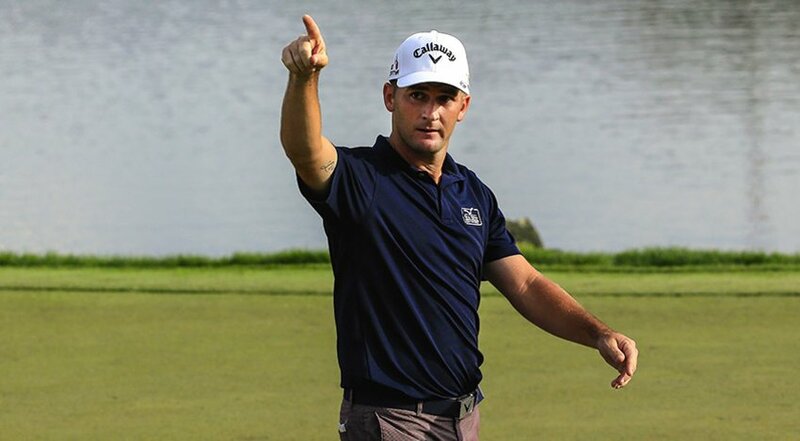 The photo came from this page over at PGATOUR.com.